With six out of twelve classical games in the books, Carlsen and Caruana remain tied at three points apiece. Each game thus far has been a draw, but that doesn’t mean that the games haven’t been engaging. In fact, the first and sixth games have probably had the most action, but as promised, I will take a look at each of the six games and attempt to pull the most important learning points from each. So, without further ado, let’s get to it. This game started out in a Rossolimo where Carlsen, as Black, tried to take control of the dark squares in typical Sicilian fashion. Not to be outdone this early, Caruana tried to break through the f-file and doubled his rooks early in an attempt to agitate Black’s uncastled king. Carlsen, however, simply castled queenside, and suddenly it was Black who had a solid and attacking position. Carlsen sacrificed a pawn to open the g-file against White’s king, but Caruana held his own until move 34 when Carlsen faltered with 34. … h5 instead of the much stronger 35. … Qe5!, which also served to set up a crushing 36 … Rg3. Even then, Carlsen still had a significant advantage until the time control move, when he played 40. … Bxc3 and lost most of the advantage. Despite Black still being objectively slightly better, Caruana was able to hold the ensuing endgame. The lesson to be learned from this game is to always keep an eye on all parts of the board – it was something Carlsen forgot about on the crucial 34th move, where he was likely too fixated on the kingside and missed that infiltrating with the Queen through e5-c3-b2 and setting up a crushing Rg3 was basically game over with all of White’s pieces on the right half of the board. 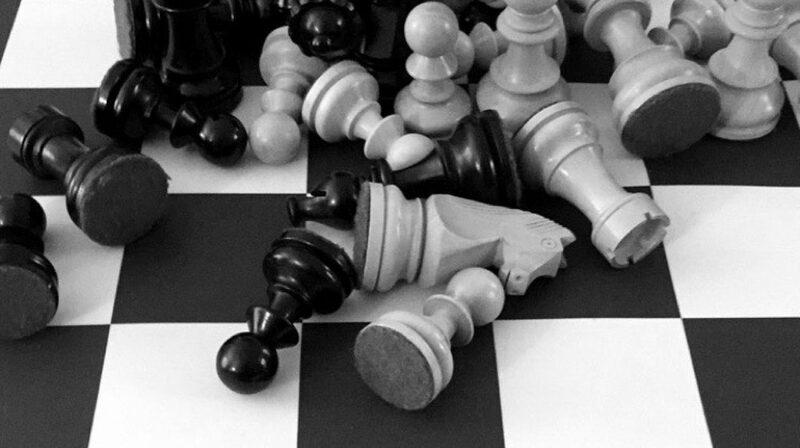 This game started out in a Queen’s Gambit Declined, but the moment of truth came much earlier. For his 10th move, Caruana blitzed out the novelty 10. … Rd8 as opposed to the known moves 10. … Re8 (see Korchnoi 1-0 Karpov, 1978) and 10. … Be7. As evidenced by Carlsen’s answer to a reporter asking what he thought of the move – “Oh, [expletive], mainly” – he was clearly taken aback and settled into a long think. At this point, he had the option of grabbing the bull by the horns and playing 11. Nd2, but knowing that this would likely take him straight into Caruana’s preparation, he avoided the line and played the “tamer” 11. Be2. The only other critical point after this move was on move 17 when Carlsen had the chance to try the intriguing 17. Nxf7! ?, but once again, he settled for the less-aggressive route with 17. Bf3 and the game soon fizzled out into a drawn endgame where White’s doubled f-pawns actually made the 4v3 defense easier. This game showed us the importance of opening preparation, as it only took ten moves to reach a crossroads for Magnus, and after that point, it was Caruana in the driver’s seat. Just like in Game 1, Caruana opted for a Rossolimo to counter Carlsen’s Sicilian, but instead of following the horrific path the first game went down, Caruana played 6. 0-0. A couple moves later, Carlsen confidently offered a pawn sacrifice with 9. 0-0 after only 35 seconds of thought, but Caruana kept the status quo with 10. Nbd2. The first critical point came on move 15 when Caruana rather hastily played 15. Bd2, allowing Carlsen to continue contesting the open a-file with 15. … Raa8!. Rather, had Caruana played 15. Rxa5 Qxa5 16. Bd2 Qc7 17. Qa1!, he would have firmly been in the driver’s seat with avenues for pressure along the open a-file and the fixated Black e5 pawn. Instead, the game turned to an endgame where Caruana was slightly worse, but the game once again fizzled into a draw. Twice already, Caruana’s attempt to win as White didn’t go as planned, and it was interesting to note at the time that each of the three games ended with the player playing Black pressing for the potential win. The game once again played into a Rossolimo, but Caruana stuck to the pattern of deviating first by playing 4. 0-0 instead of 4. Bxc6 and then plunging forward with 6. b4, an aggressive-looking gambit. Despite from longer thinks from Carlsen, however, it seemed like he knew what he was doing. After 11. … Ne7, the players reached the first critical position, where Caruana eschewed theory (12. cxd6 Qxd6 13. d4) and gambled with the forcing 12. Qe2, but Carlsen found the only move with 12. … b4. A few moves later, with the queens off, Black was in a comfortable position, while Caruana seemed a bit annoyed with his position during a 30+ minute think on move 19. After precise play from both sides, the game ended as a draw on move 34 once again. The most noteworthy point from this game was Fabiano’s early aggressiveness; evidently, he was trying to play for a win from the start, but Carlsen’s knowledge of the sideline helped him to a draw. Meanwhile, Carlsen’s “refutation” of the opening gave him a solid chance of pushing for a win, but once again, he let the opportunity slip. In the first game that Carlsen opted for 1. e4, he was met with the Petroff from Caruana, which has garnered quite the attention this year. Indeed, Caruana has revitalized the Petroff as Black after essaying the opening in several tournaments so far. On top of that, Caruana has destroyed the notion that Black plays the Petroff in order to draw, as he has had major success with the opening, including two wins against Vladimir Kramnik and Alexander Grischuk in the Candidates Tournament back in March. As for this game, the players sidestepped several variations that had been played before and quickly ventured into new territory that was visually fascinating as much as it was vexing. Specifically, after 7. … Nd4, the players traded queens with a sequence that looks like it could have appeared on a board in a scholastic tournament: 8. Nxe7 Nxe2 9. Nd5 Nd4. Then followed even more “dance” moves by the knights, and it’s interesting to note that by the 10th move, ten knight moves in a row had already been played. However, despite the peculiar and exciting opening, the reality was that the ensuing position was rather dull until Caruana broke with 21. … c5!. Following some shaky play from Magnus, Caruana found himself with a slight advantage. Just after time control, Caruana had put Carlsen in a bit of a bind, and seeing no alternatives, Carlsen went for a piece sacrifice for three pawns with 43. Bf3!? in order to mitigate Black’s imminent threat of pushing the d-pawn and delivering a discovered check. A miscalculation meant that Carlsen would only net two pawns for the piece since he seemed to have missed Caruana’s idea with 48. … Ba3 and picking off a queenside pawn with an eventual Nc3. However, as expected, Carlsen put up a tough resistance, and he found a nice resource on move 58 with 58. a5! ?, which sacrificed the lone queenside pawn, distracting Black’s pieces just enough to allow White to set up what looked to be a fortress after 64. h5. After 67. Kg6, the engines seemed to momentarily call a forced mate-in-36, but with only ten minutes on Caruana’s clock, it was probably impossible from a human standpoint for him to find it. Indeed, Caruana didn’t see the mating line, and while he could have arguably made Carlsen suffer more, Caruana went for a draw soon after. Overall, despite the scoreboard showing six draws, the gameplay has been more than exciting, with each player coming very close to losing at some point – Caruana in the first game, and Carlsen in the sixth. An interesting theme we’ve seen so far is that Black has had most of the pressing chances, which is ironic considering most high-level players outwardly prefer White. This is especially true of Caruana, who, in three chances as White, has been stymied quite badly. Going forward, we should see Caruana experimenting with lines other than the Rossolimo variation of the Sicilian. Additionally, since Carlsen is significantly stronger in the tiebreak formats of rapid and blitz, we should continue to see aggressive openings from Caruana, which should make the games rather fun. We can also expect to see Caruana continuing to respond to 1. e4 from Magnus with the Petroff, which has served the challenger well. It’ll be interesting to see which player draws first blood, since, at this point, it may determine the entire match. But, of course, only time will tell. The timing of my schedule lines up well with this match, so I’ll be able to provide an analysis of the second half of match next time. As always, thanks for reading, and I’ll see you next time!